Hello from Marie Sanae Otani in Hawaii! I was very happy to read your message and receive your letter! I'm sorry that it took so long to reply. My parents and I got sick soon after I got your letter. The three of us are all well now. My second tour of Japan was with my cousin in 2008. We dropped by Kamuro for just a short visit at night. 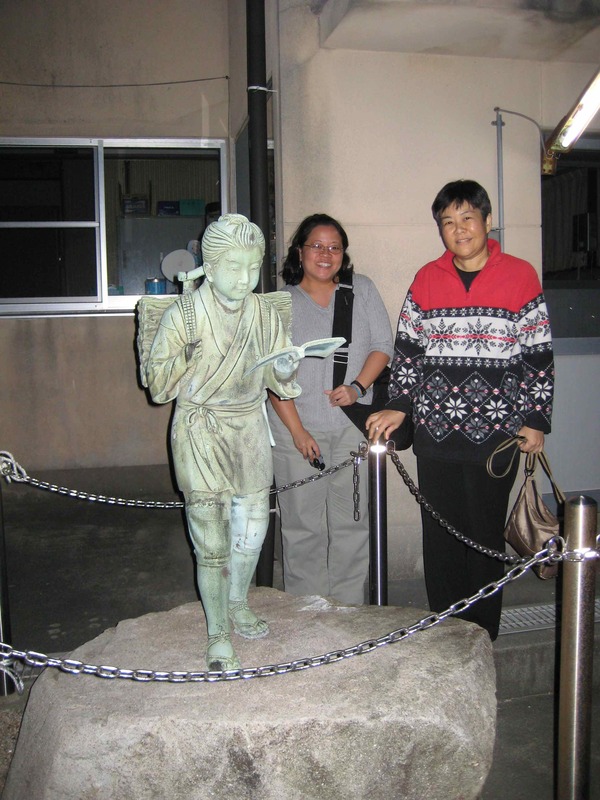 We took pictures with the Ninomiya Kinjiro statue. 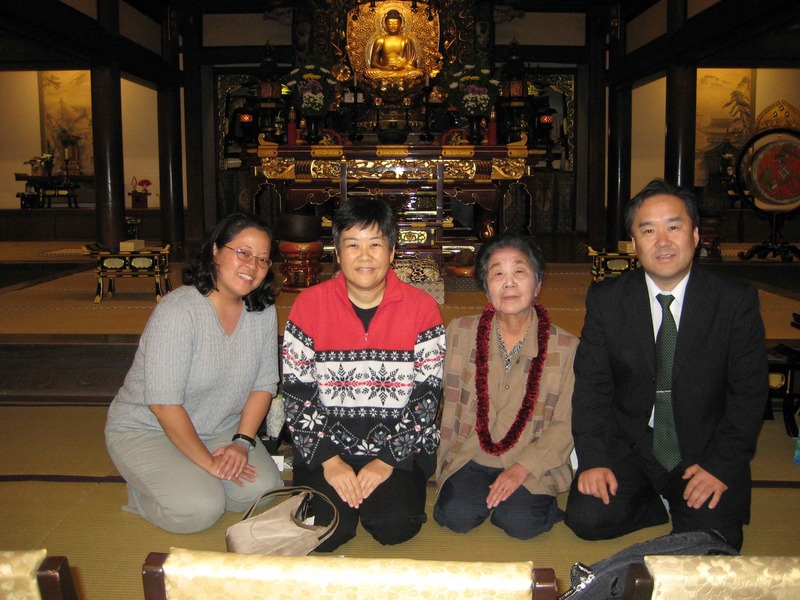 We went to Hakuseiji temple and although Niiyama-sensei wasn't there, Mrs. Niiyama kindly opened the temple for us. I'm attaching two photos from that visit. Please excuse my poor Japanese writing!